The above picture was posted on the Erasable Podcast Community Page on Facebook and it shows what might be my doom… I have, well had, no interest in pencils that exist only to be a publicity, sporting some fancy colors and slogans and totally loosing at being a proper pencil, but these got me thinking. I’m a 77’s guy, so I have that urge of reliving part of a time I only lived through half consciously being a kid. 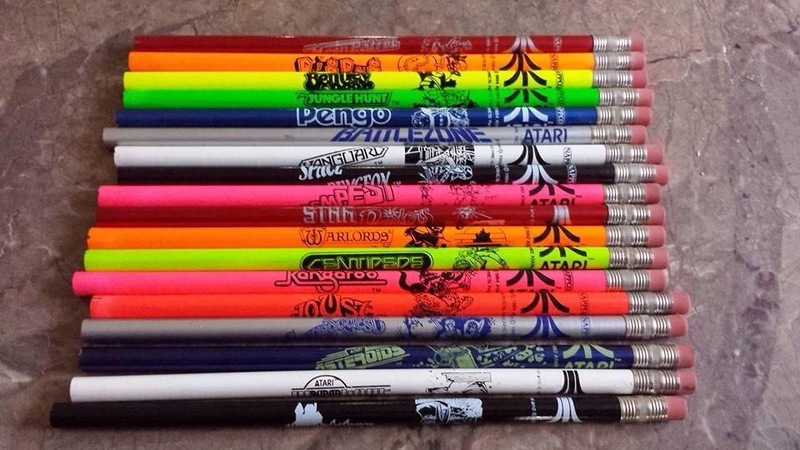 These pencils do exactly that and they do that in a wonderful way as the Atari VCS 2600 was my first (well mine and my sisters…) gaming console.